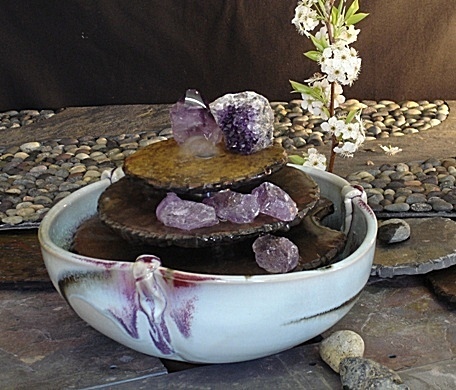 This tabletop fountain has water that flows from top of three tier slate with landscape features rough amethyst rocks, cluster and amethyst polish point into hand-made bowl with gorgeous one of a kind glazing coloures. The amethyst symbolizes piety, humility, sincerity and spiritual wisdom. Amethyst is used for problems in the blood and in breathing problems. Amethyst crystal clusters are used to keep the air and life force in the home clean and positive, very beneficial to use in healing and to heal negativity in the home. 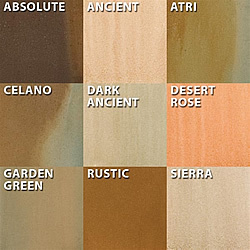 you could personalize your fountain with your own special stones or we could do it for you.